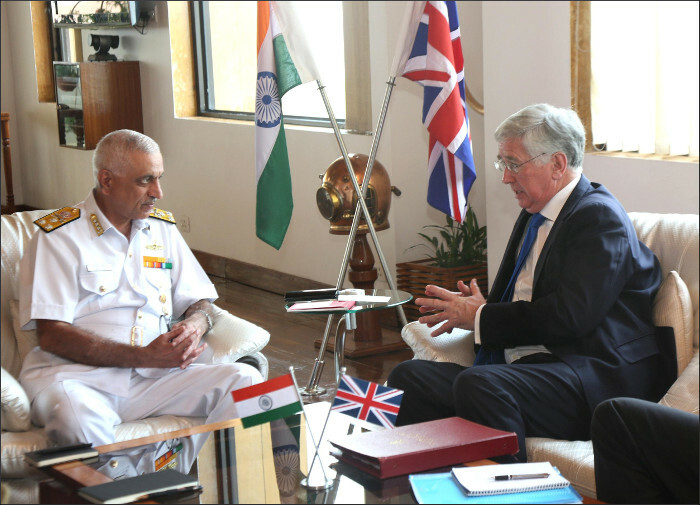 A twelve member United Kingdom delegation, led by the Rt Honourable Sir Michael Fallon, Secretary of State for Defence (Defence Minister), is currently on a visit to India. On 11 April 2017, the delegation visited the Western Naval Command of the Indian Navy at Mumbai. The Honourable Minister and his delegation called on and interacted with Vice Admiral Girish Luthra, Flag Officer Commanding-in-Chief Western Naval Command. Discussions were held on aspects related to Defence and Naval Cooperation, Maritime Security and current environment in the Indo-Pacific region. Progress on maritime issues, as outlined in the Defence and International Security Partnership (DISP) 2015 were also discussed. 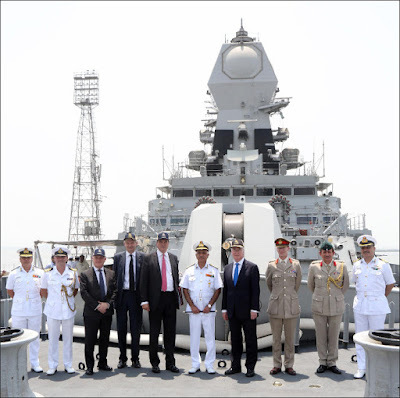 The UK delegation also visited Indian Naval Ship Kolkata, a front line indigenously built stealth destroyer and was conducted around the ship. Royal Navy and Indian Navy have for long shared a healthy relationship of mutual respect, trust and professionalism. 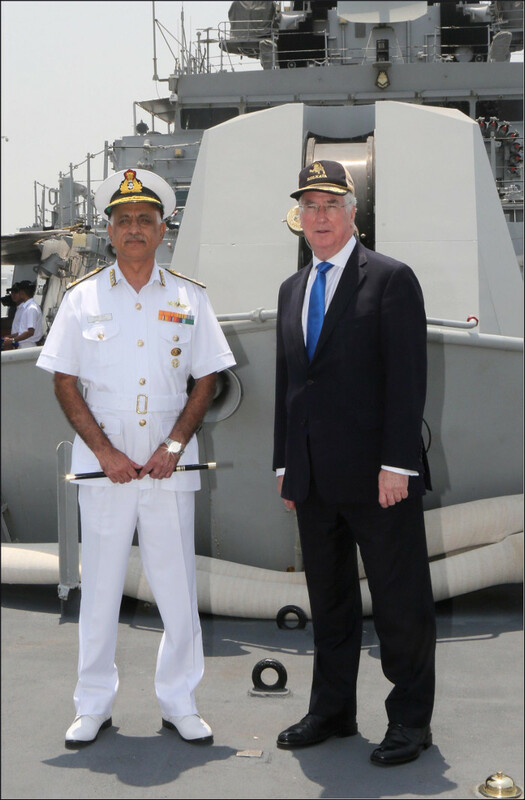 The two Navies have engaged in a bilateral Naval exercise named KONKAN from 2004 onwards. The last edition of the KONKAN series of exercises was held in December 2016 and INS Tarkash is scheduled to participate in KONKAN 17 off the coast of UK in May 2017. During the recent visit of the First Sea Lord of the Royal Navy Sir Philip Jones in March 2017, the two navies also signed an agreement on Sharing of White Shipping information. 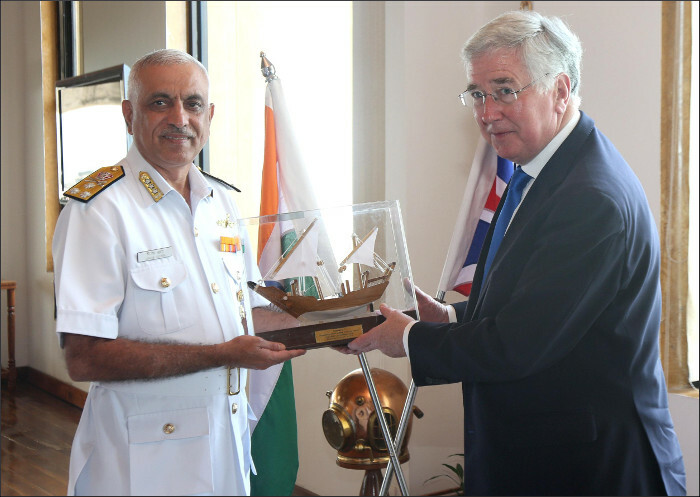 The visit by the UK Secretary of State for Defence further bolsters ties between the two maritime nations.